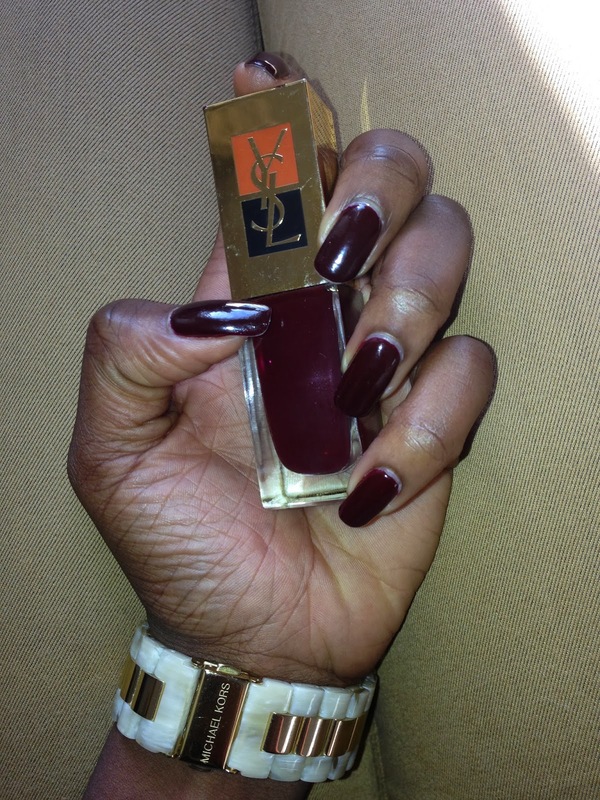 I can't get enough of my dark shades at the moment and this week I chose to go for a dark plummy colour from YSL as my nail paint of the week. I am loving it so much so that I might just keep it on for another week if they don't chip too much that is! I love that it has a natural gloss finish to it, so when I apply my top coat on, it glistens the more and I love, love, love that. I'm not really one for matte finishes when it comes to my nails. I will always choose a glossy finish over a matte finish any day without fail. I guess, I never caught onto the hype surrounding matte finish nail varnishes.